For years, discussions regarding treatment for breast cancer included talk of chemotherapy, radiation and surgical interventions. Fortunately, today those discussions frequently include the concept of building up the body to help assist the healing process. Rest and inactivity were thought of as the best approach to cancer treatment’s debilitating fatigue and side effects, however new research has shown that exercise is essential in combating these physical consequences. There are many comprehensive lifestyle approaches to cancer treatment that include exercise, nutrition, and stress management along with traditional medical intervention. At Body In Balance we have set up programs for cancer patients to seek nutritional counseling, stress management techniques and fitness workshops, along with customized fitness programs to maximize the body’s own resources to battle the effects of cancer treatment. While these methods are not in themselves a cure, they are a positive way to strengthen both body and mind to fight against cancer. Today, physical therapists in wellness settings can offer much more. Versed in the medical aspects of cancer pathology and treatment, a physical therapist can answer many of the questions that remain unanswered regarding restoring your normal lifestyle. Trained in the evaluation and treatment of musculoskeletal dysfunctions, a physical therapist can identify imbalances throughout the body system, apply restorative hands on treatment, and recommend appropriate exercises to augment rehabilitation. Therapists educate patients on the proper technique and form to execute exercises safely, with the appropriate resistance and speed of movement. Advice should be given as to the specific exercises that provide enough of a challenge without overstressing the body, creating tissue damage, or promoting lymphedema. Some patients may receive manual therapy beneficial in treating surgical scars that may be restricting range of motion or diminishing tissue health. For those survivors who are not candidates for rehabilitation, the therapists at Body In Balance can assess a patient’s physical status and accurately prescribe the appropriate level of exercise without being harmful. Prior to treatment, we can help to build strength and endurance for the months ahead. We can also help cancer survivors feel physically better even if they were treated for cancer in the past. 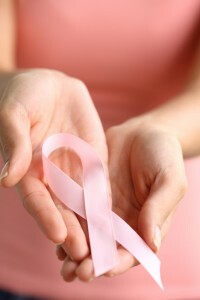 Each patient has a different physical presentation following breast cancer treatment and must be treated individually. Our therapists can utilize their evaluative findings to create an individualized breast cancer fitness program. This program can be structured as an independent exercise regime, group fitness, or a plan to be implemented by a physical therapist in collaboration with a skilled fitness professional. Our comprehensive approach can create an exercise program suited to a survivor’s physical needs, lifestyle and prior activity level. In this way, the right physical therapist can serve as an advocate and resource to help you return to an exercise program that is both effective and safe. Patients undergoing oncology treatment should start out with an exercise program geared towards exercising in a deconditioned state due to the harsh effects of medical treatments to the patient’s overall health. A private evaluation is conducted by a physical therapist prior to initiating the exercise sessions. The therapist will review medical history, personal goals, and problematic areas, while also measuring the patient’s flexibility, vital signs, upper and lower body strength, balance, and aerobic capacity. To establish a baseline, a submaximal fitness test is performed. Lab work is monitored throughout training to best prescribe exercise intensity and duration. Our Breast Cancer Wellness Program is a unique multi-disciplinary program providing a supportive environment in which women who have been diagnosed with cancer, in all stages of treatment and recovery, work with rehabilitation and fitness professionals to improve their function and quality of life. At Body In Balance, we have created a wellness program focusing on mind/body integration to enhance one’s self-confidence and boost the body’s immune system to help the healing process. Let exercise be the first step to regaining balance and control of both body and mind!